Declan Devine announced Barry McNamee as the new Derry City captain at Friday night’s “Past, Present & Future” event. 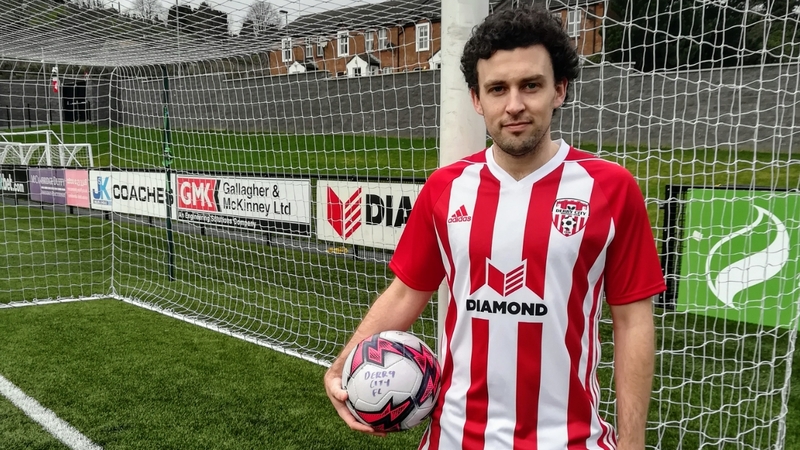 The 26-year-old Ramelton man has recently rejoined Derry for a second spell after a year with Cork City. McNamee made his breakthrough for Derry in 2011, having developed in the club’s underage set up and in 2012 became a regular starter and picked up his first goal in the cup. Declan Devine had taken charge of the club for the 2012 campaign and McNamee found plenty of opportunities under his stewardship. McNamee capped the campaign with his first medal, as part of the side that defeated St. Pat’s to win the FAI Cup that season. Having broken through as a full back, McNamee had graduated into the engine room during the course of the season and his free-kick provided the assist for the first goal. McNamee’s value to the side was clear in the following 2013 season when he made 20 appearances, chipping in five goals as well as many assists. McNamee was a mainstay of the City team over the next few seasons, especially in 2015 where he appeared in every one of City’s games. In the 2017 season McNamee recorded his biggest goal haul to date, grabbing 10 goals from midfield. Amongst these were a long range lob which ensured City took all three points in a 2-0 win over Shamrock Rovers. McNamee opted to switch to Turners Cross with a move to the double winners, Cork City at the end of the 2017 season. He played in the Champions League and Europa League as well as a being a regular player for the Leesiders last season. McNamee returns as very much the elder statesman of a City midfield which will feature both Greg Sloggett and Ciaron Harkin and his experience will be vital as City look to improve on 2017’s disappointing league campaign.